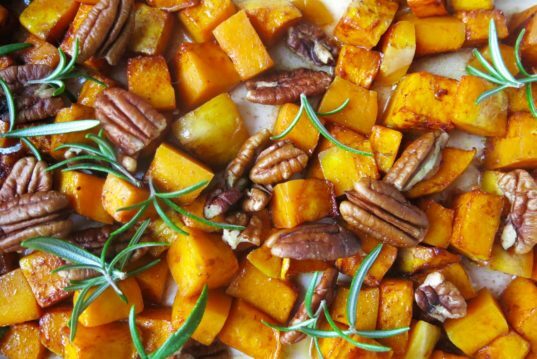 Hearty, simple and full of vitamins A and C, this roasted caramelized butternut squash is ideal to indulge in when it's cold outside and you crave comfort. 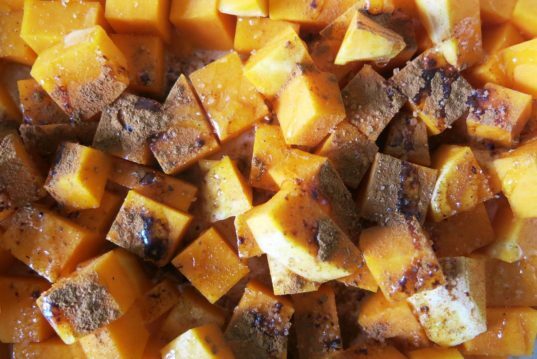 Naturally sweet and really versatile, butternut squash can be served as a main dish, blended as a soup, served with rice and even tossed in a salad. 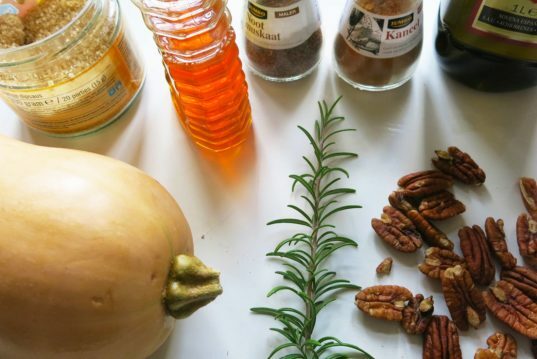 We roasted the squash with cinnamon, nutmeg and rosemary, and sprinkled some pecan nuts and a dash of agave syrup for an extra gooey flavor kids will love. 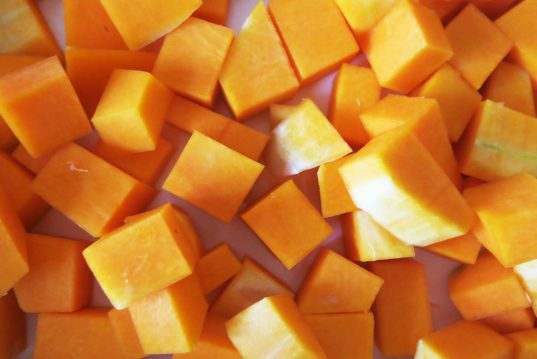 Preheat the oven to 400 degrees F. Wash, peel and cut a large butternut squash into 1-inch chunks. 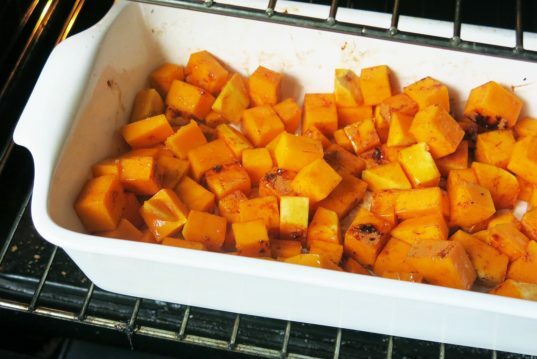 Bring the butternut cubes to an oily baking tray for about 25 minutes, or until fork-tender. Add olive oil, maple syrup, brown sugar, cinnamon and nutmeg, toss to combine. 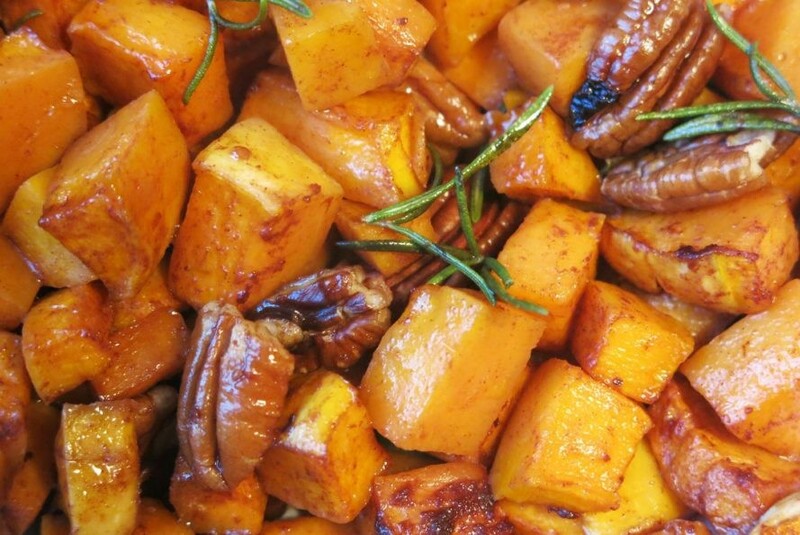 Add the pecans and rosemary during the last 10 minutes of cooking time. 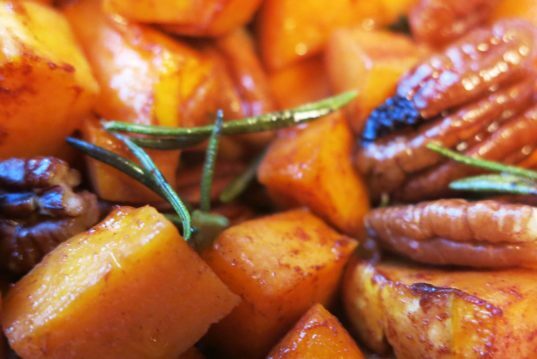 Serve warm with extra virgin olive oil, a dash of agave syrup and a pinch of marine salt.